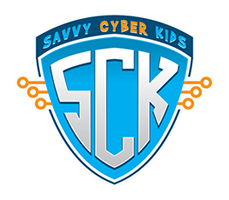 From the Savvy Cyber Kids point-of-view any adult who cares for a young person has a responsibility to raise cyber aware kids. Their safety, if not their lives, depends on it. Their reputation and their ability to not make inappropriate decisions that will negatively impact the rest of their lives depends on it too. The Savvy Cyber Kids books for adults help you be aware of technology trends and technology issues that young people are navigating as they spend increasing amounts of time online. Savvy Cyber Kids announces a NEW publication: Grandparents Guide to Technology: Raising Savvy Cyber Kids, available on Amazon. If you have grandkids, then you are grandparenting Digital Natives, young people born into a world that is surrounded by technology in ever-evolving ways. This means, like it or not, you are a Digital Grandparent, a resouce to your grandchildren as they immerse themselves into their online worlds.There is no one-stop shop set of rules for digitally grand-parenting Every family can and should make their own judgements, even from child to child, or grandchild to grandchild, about what constitutes cyber safety and cyber ethics in the family home. The one rule we impart to EVERY digital grandparent is to get involved and stay involved in your grandchildren’s digital lives. In order to get involved, you need to be aware of the benefits and pitfalls of technology. 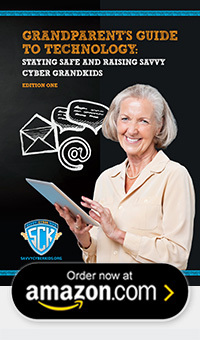 The Savvy Cyber Kids Grandparent Guide to Technology helps you navigate your own online safety while you meet your grandchildren where they are at. And, your grandchildren, where are they? Geography aside, they are on Instagram, among other social media platforms. That’s the beauty of technology, your grandkids could be living down the street from you or a continent away, technology doesn’t care. And truth be told, your grandkids might very well be more attentive to what you have to say when you post it or when you use technology to communicate with them. Ready to get tech savvy? Get your copy of the Grandparents Guide to Technology: Raising Savvy Cyber Kids on Amazon! 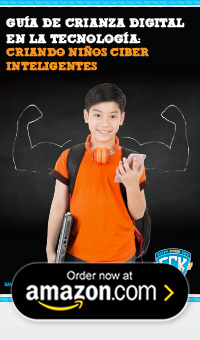 Savvy Cyber Kids is focused on educating and empowering today’s digital citizens to make smart decisionsas they grow up with technology. What is the best way to reach children? Through their parents andteachers of course! You can feel confident that by using the tools provided here, you will help yourchildren make smart digital decisions.Given all of the dangers inherent in a digital world, it may be tempting to ban your children from gamesand social media. No engaging means no trouble, right? But that is not a reality in today’s world, whereall kids want to do (even toddlers!) is play games on your phone or tablet and social media is a key waytweens and teens socialize and spend their time.Instead of saying no to each request, use each new app, game, or social media request as a teachablemoment with your child.Like it or not, you are parenting Digital Natives, young people born into a world that is, if not defined bytech, then certainly surrounded by technology in ever-evolving ways. This means, you are a Digital Parent.From the Savvy Cyber Kids point-of-view we—parents, grandparents, educators and any adult who cares for a young person—have a responsibility to raise cyber aware kids. Their safety, if not their lives, depends on it. And their reputation and their ability to not make negative decisions that will impact the rest of their lives depends on it, too. Get your copy of the Digital Parenting Guide to Technology: Parent’s Guide to Raising Savvy Cyber Kids on Amazon! Savvy Cyber Kids está enfocado en educar y empoderar a los ciudadanos digital para tomar decisiones inteligentes mientras crecen con la tecnología. ¿Cuál es la mejor manera de llegar a los niños? A través de sus padres y maestros, ¡claro! Puede sentirse con la confianza de que, al usar las herramientas proporcionadas aquí, ayudará a sus hijos a tomar decisiones digitales inteligentes. Dados todos los peligros inherentes al mundo digital, puede ser tentador prohibir a sus hijos juegos y redes sociales. No participar significa no problemas, ¿correcto? Pero esa no es una realidad en el mundo de hoy, donde todo lo que los niños quieren hacer (¡incluso los pequeños!) es jugar juegos en su teléfono o tableta y las redes sociales son una manera clave en la que los preadolescentes y adolescentes socializan y pasan su tiempo. En vez de decir no a cada solicitud, use cada nueva solicitud de app, juego o red social como un momento de enseñanza con su hijo. Le guste o no, está criando a Nativos Digitales, los jóvenes nacen en un mundo que es, si no definido por la tecnología, entonces ciertamente rodeado por tecnología en maneras siempre cambiantes. Esto significa que usted es un Padre Digital. Desde el punto de vista de Savvy Cyber Kids nosotros—padres, abuelos, educadores y cualquier adulto que cuida a una persona joven—tenemos la responsabilidad de crear a niños ciber conscientes. Su seguridad, si no sus vidas, dependen de ello. Y su reputación y su habilidad de no tomar decisiones negativas que impacten el resto de sus vidas también dependen de ello. Obtenga su copia en Amazon!